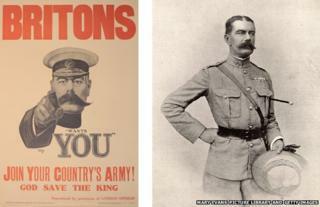 This famous poster used the face of senior British army officer, Lord Kitchener, to recruit soldiers. On 4 August 1914, Britain declared war on Germany. People in Britain opened their newspapers the next morning and found out war had begun. It became known as 'The Great War' because it affected people all over the world and was the biggest war anyone had ever known. The war was fought between two powerful groups. Great Britain, France and Russia who were known as 'The Triple Entente'. Long before the war began, the countries in these groups had made arrangements to work together and help one another if there was a war. So when war did break out in 1914, parts of Europe was already divided into two sides. Each of the countries involved got their troops ready to fight. Troops were groups that fought together and included both the army and the navy. The war saw lots of battles take place in different countries, especially France and Belgium. Later, many other countries also become involved, some on the side of the Triple Alliance and others of the side on the Triple Entente. There was no single event that caused World War One (WW1). War happened because of several different events that took place in the years building up to 1914. Firstly, there was the role of empire. Great Britain, Germany, Austria-Hungary and Russia all had empires. 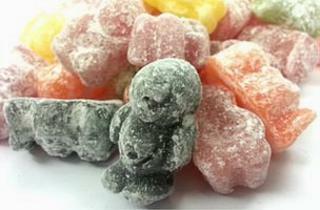 This meant that they ruled many countries all over the world. Each of these countries wanted to keep their empire strong and was afraid of other countries taking over new territories. They saw this as a threat to their own empires. So when Germany and Austria-Hungary took control of smaller countries like Bosnia and Morocco, it looked to the rest of the world like they were being aggressive. Secondly, many countries had made alliances with one other. They agreed to protect one another. This meant that if one country was attacked, the others would get involved to defend that country. However, the trigger for the beginning of WW1 occurred on 28 June 1914. 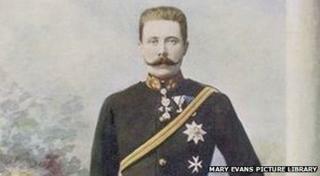 Archduke Franz Ferdinand, the heir to the throne of Austria-Hungary, was shot while he was visiting Sarajevo in Bosnia. He was killed by a Serbian person, who thought that Serbia should control Bosnia instead of Austria. Because its leader had been shot, Austria-Hungary declared war on Serbia. Russia got involved because Russia had an alliance with Serbia. Germany then declared war on Russia because Germany had an alliance with Austria-Hungary. Britain declared war on Germany because of its invasion of neutral Belgium - Britain had agreements to protect both Belgium and France. One of the most famous battles was the Battle of the Somme which started in July 1916 in France. It involved Britain, France and Germany. This battle was an example of trench warfare, where long ditches or 'trenches' were dug in the ground. Soldiers lived in the trenches and sometimes they climbed out of them to attack. The land between the opposing trenches which soldiers had to cross was called 'No Man's Land'. The Battle of the Somme was a very bloody battle. In total, around one million soldiers were killed, wounded or missing: 420,000 from Britain, 200,000 from France and 500,000 from Germany. A total of 65 million troops from around the world fought in the war. This included the British army, which was made up of around 4 million men from England, 558,000 men from Scotland, 273,000 men from Wales and 134,000 men from Ireland. Just under 1 million British troops died. Before World War One began, men were thought of as the 'breadwinners', bringing in the weekly wage. The jobs they did were often tiring and required a lot of strength. Women worked hard too, but their jobs were often done in their own or someone else's home. Only about 30% of the workforce was female and the majority of unmarried, working women were servants. How were women involved in World War One? Life for women changed dramatically during the war because so many men were away fighting. Many women took paid jobs outside the home for the first time. By 1918 there were five million women working in Britain. It wasn't just people involved in the war effort. Animals played their part too. Horses were used to move equipment, dogs were used to help find wounded soldiers and pigeons were vital for transporting messages. 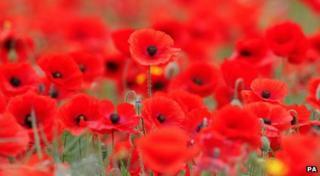 World War One ended at 11am on the eleventh day of the eleventh month, in 1918. Germany signed an armistice, which is an agreement for peace and no more fighting, that had been prepared by Britain and France. In 1918, Germany and her allies realised it was no longer possible to win the war. Furthermore, the United States joined the war in April 1917, which gave the Triple Entente greater power. The leaders of the German army told the German government to end the fighting. Kaiser Wilhelm, Germany's leader, left his job on 9 November 1918. Two days later on 11 November 1918, Germany signed the armistice and the guns fell silent. 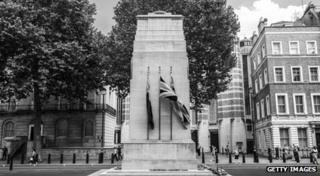 People in Britain, France and all of the countries that supported them, celebrated the end of war - a war that had lasted four years and four months. In London, a huge crowd gathered in Trafalgar Square.